Solidarity suggests a common interest, similar objectives, and a cultural empathy binding people and societies together. It is an expression that implies enduring mutual support between countries. 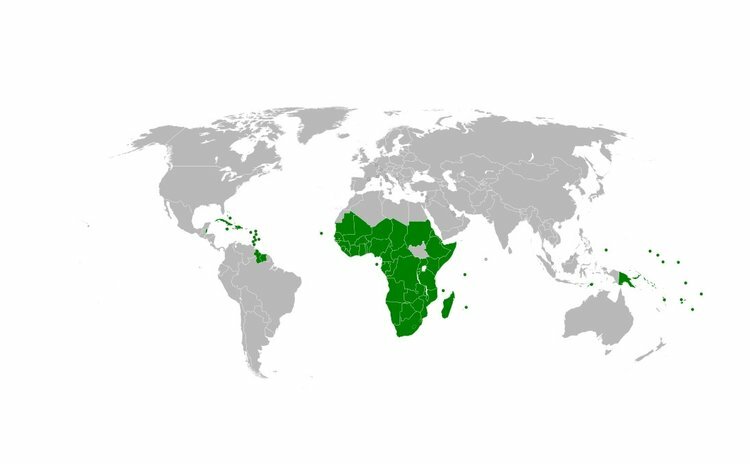 For the 79-member African, Caribbean and Pacific group of states (the ACP) the question is far from academic as it works towards finalising a negotiating position with the European Union (EU) on a successor to the Cotonou Partnership Agreement, and begins to engage with the UK on Brexit. The fundamental nature of the issue for the group was framed recently by the Chair of the ACP Committee of Ambassadors, Len Ishmael, the OECS Ambassador to the EU, when she asked fellow Ambassadors "does political solidarity exist for the ACP which will allow us to face the future, the EU and the world as one?" Her question goes to the heart of how the ACP, as a trans-continental group, relates to the rest of the world. Does it do so through a post-colonial optic; do the Caribbean, African and Pacific parts of the ACP have enough in common practically to strengthen its formal treaty relationship with Europe or to address trade and development challenges of Brexit; and has the organisation the capacity to become a voice in the global south, as relevant say to China or the US at a time when international relationships are changing? A recent ACP working paper makes clear the socio-economic status of many ACP member countries has changed. While in 2000, using a World Bank measure, there were 40 low income countries (LICs), 30 medium income countries (MIC's) and one high income country (HIC), there are now 26 LIC's, 43 MICs and 7 HICs. It is a transformation that will require the ACP Group to re-examine the basis and meaning of solidarity, and to discover new forms of complementarity. It will require a new approach, to quote the document, 'to inspire commonality of interest in attaining a better quality of life within a unified political framework (to ensure) that no one (is) left behind'. Speaking about this recently in Brussels, in the context of the negotiations for a successor agreement to Cotonou, and in relation to Brexit, the ACP Secretary General, Patrick Gomes, told me that the issue of solidarity will require careful consideration by ACP member states. He envisages an approach that involves a new understanding. It will require he says, "the ACP Group being reinvented and repositioned for a turbulent 21st century". It will also mean, the Secretary General observes, member states at very different levels of development, in different regions and with different needs, accepting in future the possibility of significant variations the areas and types of support that might be agreed with the EU. He notes too that solidarity will be important in relation to Brexit, an issue on which the ACP is intending taking a position in conjunction with the Commonwealth. Although the detail is not yet refined, and Ambassadors and the Secretariat are unlikely to form a view until sometime in 2017, Ambassador Gomes identifies a number of components. Firstly, he says, the ACP will be seeking to ensure the UK's obligations under the Cotonou Agreement are retained up to 2020 when it ends, not least because it is legally binding and is an inter-governmental agreement. Secondly, the Secretariat has begun a detailed trade analysis, looking by economic cluster at the probable impact on sectors where the ACP will negotiate for continued quota and duty free access and unchanged non-tariff regulations. He envisages this work will involve the secretariat and ambassadors working with private sector interests in the UK and in the ACP, and with friends in the UK Parliament. He also believes it will be necessary to form a Commonwealth-ACP alliance to achieve an outcome that ensures that ACP nations are no worse off in the UK market after the British government formally negotiates its exit from the EU. Thirdly, he envisages a dialogue with the UK's Department for International Development to ensure Britain still intends to meet its long term commitment to spend the equivalent of 0.7% of GNI on supporting development, and that ACP nations see no shortfall in the 15% the UK currently contributes to the European Development Fund. He also observes that the ACP will in parallel need to make the case about the importance of the EU27 filling any shortfall in the EDF, and in encouraging smaller EU member states such as the Czech Republic to see long-term opportunity in models that link development support to investment in areas in which they have interests and expertise. And fourthly, and perhaps for the first time for the ACP, he believes there is an important role for its Diaspora in the UK, irrespective of which political party they support. The UK's large Caribbean and African community and the very much smaller numbers from the Pacific will, he says, be encouraged to engage with their Parliamentary representatives, the media and others to have them understand the consequences for the ACP if tariffs were to be introduced by Britain on their exports. The UK, he says, has been a leading light in meeting its obligations for development assistance targets in the EDF and internationally. For this reason, Ambassador Gomes stresses, the ACP cannot afford to lose such a valuable ally for trade, investment and aid. To achieve all of this, he believes that the ACP must now plan and act based on solidarity and maximum coherence. For most in the Caribbean the idea of the ACP and ACP solidarity comes from a deep cultural place. It is rightly emotional and relates to a sense of oneness and common experience, particularly, but not exclusively, with Africa. It runs through slavery and indentureship, and on to independence, subsequently being made manifest in a willingness to work together in bi-regional, multilateral and other negotiations. As this column pointed out last week, recent developments suggest that there is a new global space and role for the ACP, and that it can bring an alternative south-south dimension to the EU27 and the UK's international relations. For this to happen, greater clarity about the nature and practice of ACP solidarity is now required.